Isn’t this picture just beautiful! 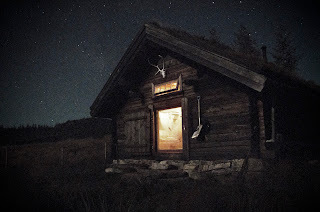 It’s taken from this website, which is full of beautiful cabin photos. Sitting in a cabin, deep in the heart of the Swedish forest, bundled up in a thick Norwegian blanket is probably one of my favourite places to be. Sipping on black coffee, watching the snow falling gently over the darkening landscape, soundtracked beautifully by the crackling of the open fire is pure perfection, to me. In Sweden, it’s completely normal for families to have a second home, a little cabin up in the mountains in which they spend their weekends and holidays. My boyfriend’s cabin lies on the border of Sweden and Norway and it’s one of the most beautiful and romantic places I have ever visited. The first time I went there, we took a taxi up the hill from the little town, passing a tiny reindeer on the way. The taxi dropped us off at the bottom of the driveway and we had to walk the rest of the way through the thick snow. Once we reached the cabin, Bjorn lit a fire and cooked some food, while I watched in wonder at the snow falling heavily over the mountains outside. It’s the most perfect place. Since then, I have spent many wonderful holidays there (feeling like the luckiest girl in the world!) In the winter we have stayed warm, cozied up in the gorgeous sitting room, after days out skiing and playing out in the snow. In the summer we have hiked up in the little mountains, gone fishing on the lake and searched for deer and lemmings in the wilderness. Spending time there brings you so close to nature and it’s so lovely to spend a weekend enjoying life’s simple pleasures. 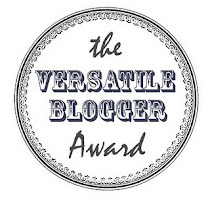 Finally, I'd like to say a great big, squishy thank you to all of your for your kind words and sweet comments. I was completely overwhelmed when I turned on my laptop this morning and saw that I had a lot of new followers and so many lovely comments to read! Thank you so much for your support! Nikki, this looks so idyllic it hardly seems real. I feel wonderful just looking at the pictures, so being able to go to one must at least double that. I know, I feel so overwhelmed whenever I stay in my boyfriend's cabin, I can never quite believe how lovely it is! You really must! I think you would love it :) Thank you! Stunning photos. Makes me miss home in the summer, when it is sunny. Awesome posts. Cannot wait to read tomorrow's. Sounds wonderful and beautiful photos. I wish I could go there! Living in a cabin and sitting in front of the fire is definitely a dream. Another lovely magical letter Nikki. I enjoyed your A, B, and C posts. I have Scandinavian heritage and keep in touch with relatives in the "old country." I live in Minnesota, USA. I am a huge fan of Astrid Lindren, as well. The Children's Theatre Company in Minneapolis will be performing "Pippi Longstocking" this spring. Also, loved your cabin pictures and romantic description. 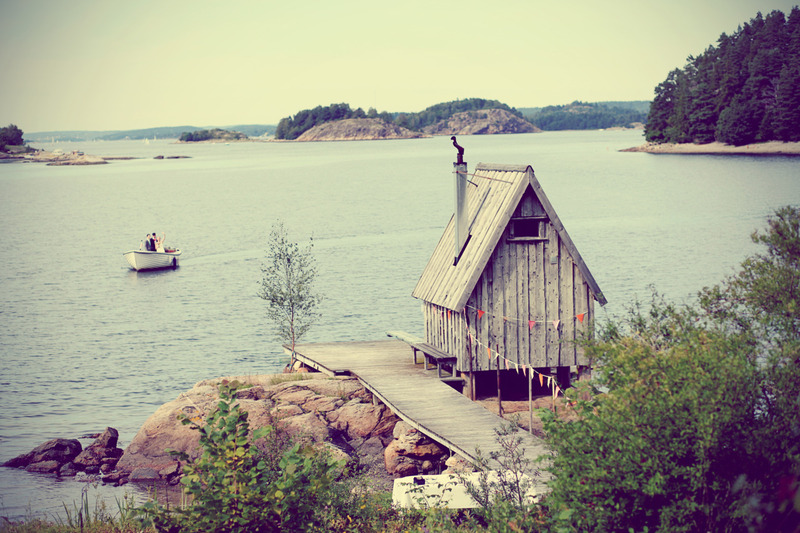 Someday, I'll be in one of those cabins in Norway or Sweden! PS: I always switch to the large font when I write blog posts. It's easier on all eyes. Living in a cabin would be great for a retreat..;) I use to stay at a cabin when I was little with some of the relative. I enjoyed it, sure would not mind do that again sometime. i have never stayed in a cabin--i always say, when i win the lottery i will buy one---sorry you are having problems with your page-----and yes isn't it nice to have feedback and encouragement--thanks for yours! A beautiful cabin is high up on my lottery-list :) Thank you for your sweet words, the problem seems to have resolved itself, luckily! It's been so fun 'meeting' so many scandinavian-americans :) Thank you for your sweet comment, I'm coming to visit you now! 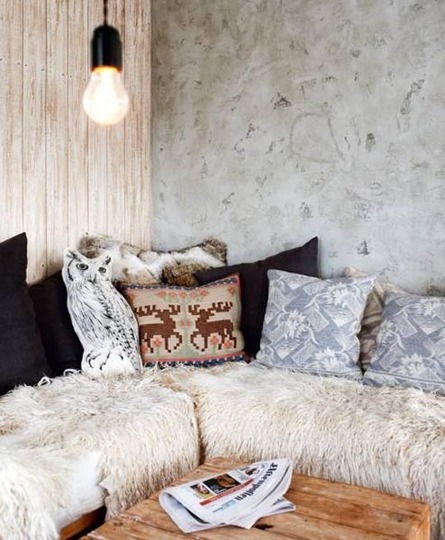 OMG we are like-spirited; nothing would make me happier to retreat to a cabin like these. (I want that last bedroom!) My reall dream is actually to have a little house overlooking a lake as that is part of my fondest childhood memories. I find lovely escapes here, thank you! I'll be back for D! I'm so happy to hear it :) I want that last bedroom to, I fully agree with the comment below - I would never ever leave! Wouldn't it be so wonderful to have a little house by the lake? I would never. I repeat, NEVER, leave that bedroom on the last picture. That sounds so wonderful, you lucky girl!! 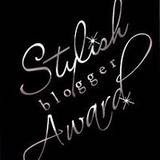 I love this post and your site is lovely. When I visited Finland, I stayed with a family for one weekend and we spent the day at their lake cabin. It was heaven! Rustic, charming and cozy. It was made of logs, had bunk beds and after a day in the lake we huddled into the sauna. Sigh. I'd love to go back with my boys. 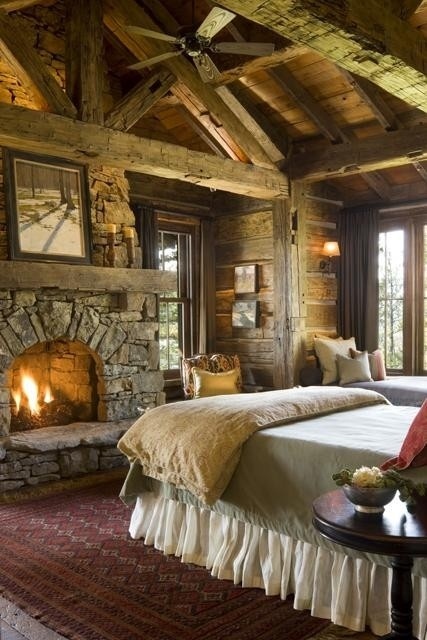 Wow, I bet it was amazing, log cabins are beautiful! And lakes and saunas are a perfect way to spend the afternoon. It sounds amazing! 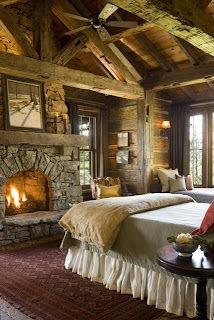 These cabins are wonderful - so cozy! I'd love to stay in the first one. What a view! I've never stayed anywhere like these places. The closest was at a campground at one of our local state parks. This brings back memories! We were in Sweden last year, and I got to spend time at a picturesque summerhouse. Sweden is the most beautiful country I've visited. Love this post! I agree, it's such a pretty country. Wow, those pictures give me cabin fever too, in a good way. It sounds like a fairy tale--snow, reindeer, candles and cracklin' fires. That sounds lovely! I would love to see those places in real life. 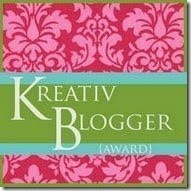 You have a great blog (and a new follower! ), and I can't wait to see what else you have for the A-Z challenge. Serendipity - yes I've been in a cabin, Swedish too, much like the third pic. It was in Kanan Lake, Stockholm. Imagine that! Haha don't even get me started! I would love a tiny little cabin by a lake or stream just to write in. Breathtaking photos, and your description of time in a mountain cabin, well, it put me there. Your affection for this place really comes through. Lovely post. Thank you very much :) I'm glad you liked it! Wow! Thanks for the few minutes in the cabin. Beautiful post! I am so glad you stopped by today, I think it will be fun to travel with you! I will be back to read the other posts. Thank you for your sweet comment, that was so lovely to hear! My husband proposed in a cabin in the Colorado mountains. I will be sharing about that in my D post for tomorrow. Amazing! I'm looking forward to that post, very much! How romantic, serene, and peaceful. I would love to have a small place like that--you pictured it perfectly. And Sarann, I copied your blog ID, since I live in Colorado, I have to know where your proposal happened. I'd love to go to Vienna some day, I've heard it's beautiful there! I love cabins. While I admit I usual hear of them in relation to snow and/or mountains and that is my first thought when I hear "cabin", cabins can appear elsewhere too. Where else have you encountered cabins? This is beautiful! I grew up spending summers at rented cabins in the mountains. Anytime I hear the word "cabin" it brings back happy memories. I would LOVE to visit a Swedish cabin. Sounds like the perfect place to while away a winter afternoon! These are some lovely pictures, a perfect setting for a story! Thank you for lighting it up blue! Lovely pics - makes me want to book one up immediately. Lovely to meet you on this challenge and I shall be back. Thank you, Claire, it's lovely to meet you too! How romantic! Love those pictures. Lovely pictures. Cabins "up north" are very common in Minnesota. We have a cabin in the family. It's magic there being nestled between the pine trees with a stream at the back of the property. Great writing retreat. Cabins are so wonderful! They feed the soul and make you realize that all the things in life are just stuff that you really don't need. We are very fortunate to own a cabin in one of Canada's national parks. The pictures are inspiring and cozy. It makes me want to vacation in the mountains.